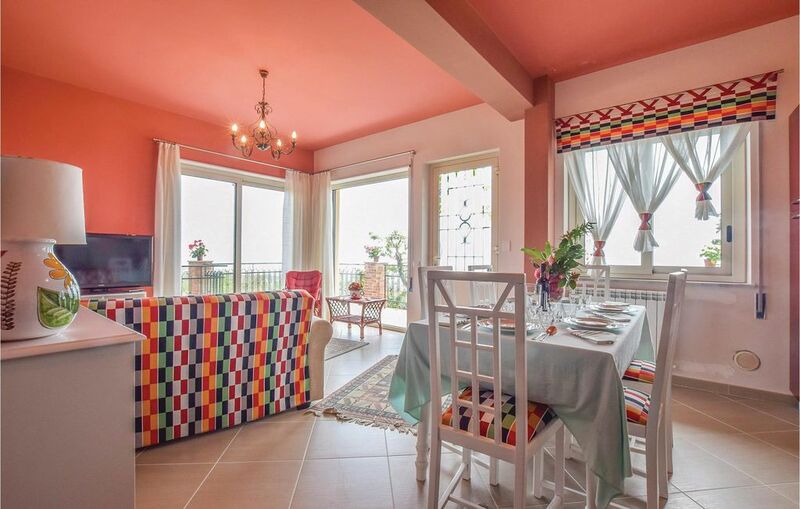 This holiday apartment is located in Milo (Catania) and offers a wonderful view of Mount Etna and the surrounding countryside. It has a beautiful large and bright living room and a spacious and equipped outdoor area, ideal for relaxing. Great location for those who want to spend a pleasant holiday under the warm Sicilian sun - beaches are 12 km away. The beaches Fondachello and Riposto in the Gulf of Catania are definitely worth a visit. An ideal destination for art lovers: from here you can visit the most important cultural centers, such as: Catania with Castello Ursino (30 km), Taormina with its ancient Greek theater and the Palazzo Corvaia (38 km) and Syracuse with the nature reserve Cavagrande (100 km). You can make excursions to the craters of Mount Etna or do trekking along the many paths of its Natural Park. Sehr nette Gastgeber, Urlaub zum Ausruhen und richtig erholen!